Parks and Recreation is pleased to offer its fall programming for youth, teens and adults. Fall registration is open and the list of activities continues to grow and expand annually. This year, the Recreation Youth Soccer Program has grown again and is expanding to include 4-year-olds and 5-year-olds. This program, run similarly to the Kindergarten Soccer Program is geared toward children who are not attending kindergarten in the fall. The emphasis of the program is meeting new friends and having fun while learning good sportsmanship and the concept of teamwork. Both the Kindergarten and the 4 and 5-year-old programs will meet for one hour on Saturdays that will include individual and team skill building followed by short scrimmage games. Girls and boys will play together and parent volunteers will coach and guide these young soccer players. The kindergarten league will run in a similar fashion but time of play will be extended to an hour and a half to allow for additional skill building. The Youth Soccer Program is available for children in grades first through eighth. Teams will be divided as registration allows and children will play together in similar age groups. Recreation youth soccer is a fundamental building block for local soccer players, offering a fun, yet competitive environment for all children. The style of this league encourages all children who love soccer to play. One practice per week and one game per weekend make the Recreation Youth Soccer League a perfect addition to any “footballers” schedule. Recreation girl’s field hockey is another long-standing program. From field hockey for grades first through sixth to limited travel for grades fifth and sixth and limited travel for girls in grades seventh and eighth there is an opportunity for every girl to play. Field Hockey for grades first through sixth will run from September 12 to November 6 on Sundays. Volunteer coaches and assistants are needed to make this league possible, and there is no prior knowledge of the sport needed. The Limited Travel Leagues for grades fifth and sixth will be available on a first come-first serve basis. Teams will play in a local field hockey league and will have one game per week that will last one hour. The Department of Parks and Recreation will also sponsor a limited travel field hockey team for seventh and eighth grade girls. The township will form at least one team to play in a local field hockey league. If enough girls register for a second team, a second team will be formed. Games will be played in various townships on Sunday afternoons between 12:00 noon and 7:00 p.m. The teams will have one game per week and a schedule of time and place will be provided at the start of the league. Additionally, this year, the Department will provide a five-week fall basketball clinic for boys and girls in grades first through eighth. This pre-season tune-up will offer children the opportunity to fine-tune those fundamentals prior to the start of the winter season. The clinic will run from October 13 to November 10 in the evenings. Other fall programs include Tumbling Tots, Arts and Crafts, Boot Camp as well as the over 35 basketball and soccer leagues. 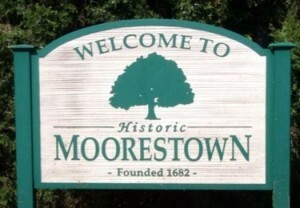 There truly is something for everyone at the Moorestown Department of Parks and Recreation for the fall.